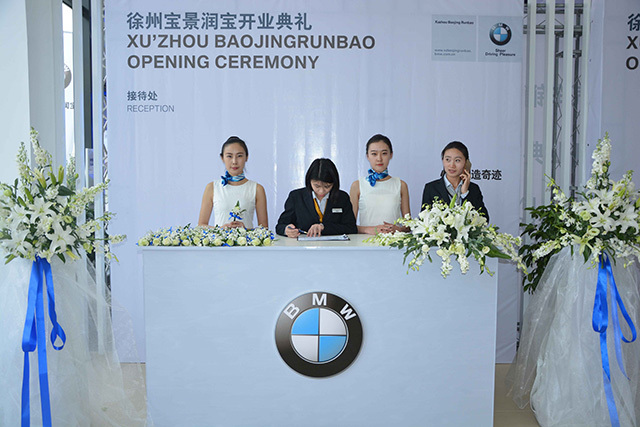 On March 24, 2016, Xuzhou Baojing Runbao BMW-authorized 4s store (“Runbao”) opens up and becoming the latest one of BMW dealerships over the country. This store is also the nearest 4s store from Xuzhou urban area. We believe that superior products and service experience will be brought to the customers and numerous BMW owners would feel the unique charm of “pleasure to create a miracle” brought by the short distance. On the opening day, Xuzhou government leaders and some representatives of department attended the opening ceremony. 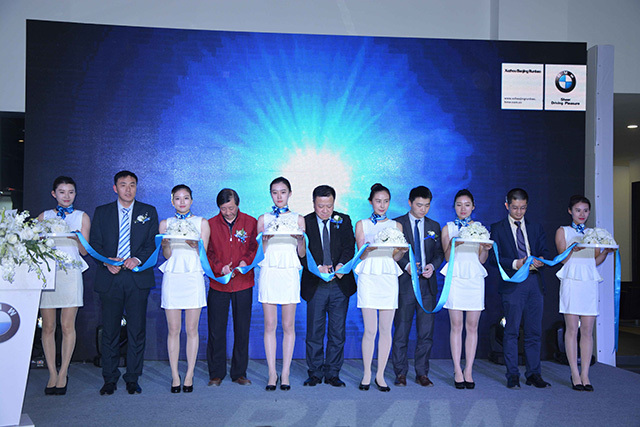 Lots of managements, partners and media attended the ceremony, including the regional sales manager of BMW Brilliance Automotive Ltd(“BMW”) Mr. Shu Ye, after-sales manager of BMW East China Mr. Wen Wu, regional marketing manager of BMW Mrs Zhu Lingyan, vice president of Rundong Auto Mr. Jiang Xiaofei and deputy general manager of Xuzhou region Mr. Chang Long. 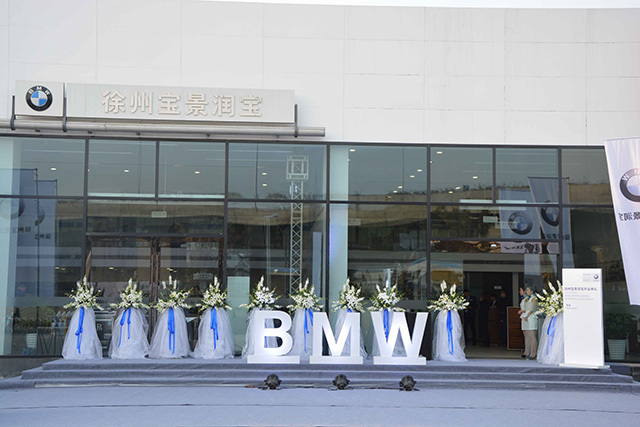 Runbao is the third BMW-authorized store in Xuzhou, Jiangsu Province for Greenland Rundong Atuo Group Ltd, which is in accordance with the BMW globally harmonized high standard and equipped with the most professional and advanced equipment. 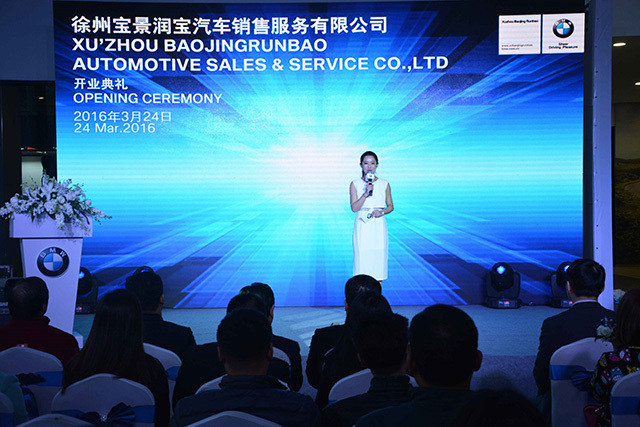 Runbao adopt the strictest sales service manage model through the modern data network system to achieve high-performance customer profile management and the progress of repairs and parts inventory data management, allowing the car enjoy the most reliable service. Runbao integrated the strategy of “pleasure in driving and less worry” into the customer service. We adopt the strictest manage model in after-sales to archive the progress of repairs and parts inventory data management through the modern data network system, allowing the car enjoy the standard repairmen and maintenance services in time. Runbao will launch a series of service initiatives with the center of three customer value “efficient, transparent and caring” . 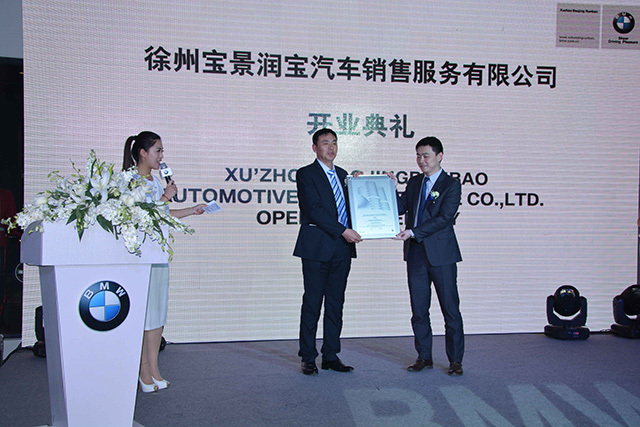 Runbao has a team of consultants and technicians passed BMW systematic training and certification in terms of human resource management, it will bring professional, first-class service to our customers. All the staff bring the comfortable sales environment and personalized service to the customers, upholding the quality, service dual priorities concept. Next section is the most important part of the opening ceremony, Authorization ceremony. Mr.Shu Chang delivered the authorized dealer license to Runbao. 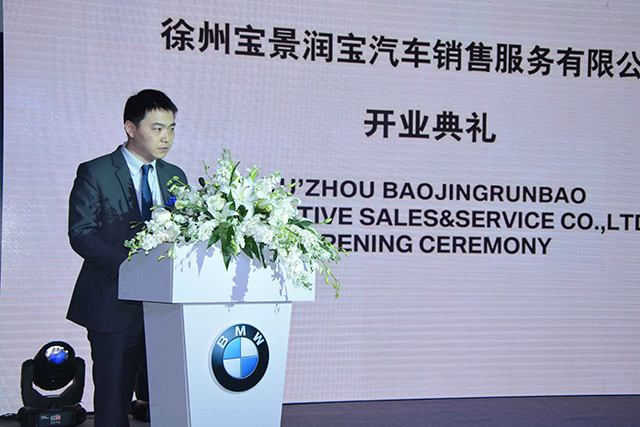 The regional sales manager of BMW Mr. Shu Ye, after-sales manager of BMW East China Mr. Wen Wu, vice president of Rundong Auto Mr. Jiang Xiaofei, deputy general manager of Xuzhou region Mr. Chang Long and secretary of customers association Mr. Shi Shengli jointly cut the ribbon for the new store. 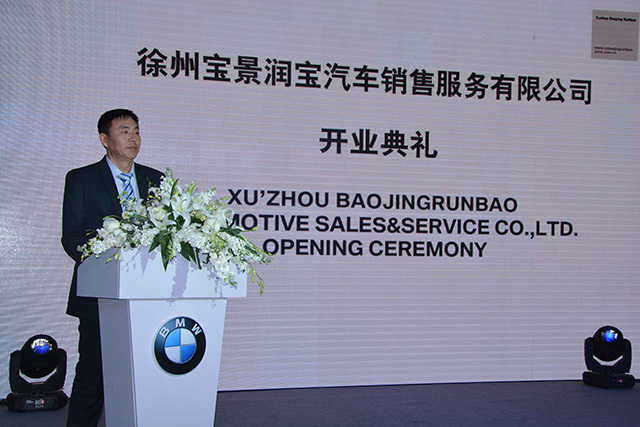 Runbao would be a new window for customers to understand the brand culture of BMW, which will bring the driving pleasure and innovative and personalized services to customers. In strong support of the community, Runbao will spare no effort to provide customers with the best quality services and improve the reputation in local market.